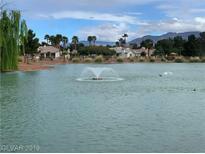 Below you can view all the homes for sale in the Los Prados subdivision located in Las Vegas Nevada. 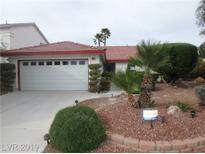 Listings in Los Prados are updated daily from data we receive from the Las Vegas multiple listing service. To learn more about any of these homes or to receive custom notifications when a new property is listed for sale in Los Prados, give us a call at 702-323-5963. Jetted tub in master bath, double sinks. Much more! MLS#2087455. 1st Stop Properties Inc.
!Golf course views from the backyard patio....relax in the 10 person jacuzzi with waterfall. MLS#2087555. Realty ONE Group, Inc.
Access to the community pool is conveniently located straight out of the back yard. Turn key! MLS#2088170. Realty ONE Group, Inc. This home is selling under Market Value, need to move quick! MLS#2087504. Urban Nest Realty. You'll have access to several pools, golf course, tennis courts, and a country club with meals around the clock! MLS#2085818. LUXE Estates & Lifestyles LLC. *Great property in a guard gated sub-division* Amazing golf course as well as other amenities* Lots of potential for someone that wants to make it their own* wet bar for entertaining* Covered patio for those hot days* spacious rooms* Will not last long* MLS#2084912. Keller Williams Market Place. Gorgeous Single Story-3 Car Garage-New Roof+Huge Lot w/Pool & Jacuzzi w/new pool heater, filter & pump-Home Features Sunken Formal Living Rm w/Fireplace-Separate Family Rm w/Wet Bar-Formal Dining Area-Spectacular Kitchen w/Island, Tile Flooring & Counters, Nook Area- Pantry-Large Master Suite w/Sitting Area,2 Walk In Closets- Master bath w/Large Garden Tub, Stand Alone Shower, Dbl Vanity, Make-Up Table! 24 hour sec guards! ! MLS#2083651. eXp Realty. Enter Into The Formal Living Room With Vaulted Ceilings,2 Way Fireplace,Gourmet Kitchen W/ Stainless Appliances!! Call Us Today! MLS#2081832. LIFE Realty. Guard gated golf course community Los Prados tennis courts pools spas activities Home needs some updates pool is empty probate sale sold as is estate will make no repairs MLS#2081856. Nevada Realty Solutions. Home has formal living room, formal dining room as well as family room and kitchen dining area that looks out to the green lush landscaping and golf course. Truly a MUST SEE! MLS#2081406. Love Local Real Estate. Freshly painted with brand new carpet, tile & wood laminate flooring, it's nestled in a picturesque, guard-gated, golf course community. You’re not dreaming...you’re home! MLS#2080113. Keller Williams Realty SW. Sitting on a large corner lot in guard-gated Los Prados, this home has a bright open floor plan, family room w/fp, wetbar, large master bedroom, and kitchen w/bar seating! MLS#2079084. BHHS Nevada Properties. See it and make it yours. MLS#2079041. Realty ONE Group, Inc.
Don't hesitate to make it yours. MLS#2078619. Realty ONE Group, Inc. Beautifully finished back yard for entertaining or personal enjoyment. Reduced 10K for fast sale. MLS#2077550. Anchor Realty Group. Tranquil 1 Story Nestled in Guard Gated Los Prados Golf Community ~ A/C RECENTLY REPLACED ~ Featuring 3 beds-2 baths within 2,349 sqft ~ Huge Kitchen w/Pantry/Corian Counters & Pull Outs ~ Dining Nook ~ Abundant Light ~ Open Natural Flow ~ Generous Master, Retreat/Office & Bath ~ Utility Rm w/Sink & Cabinets ~ Volume Ceilings ~ Cellular Shades w/Darkening Option ~ 3-Bay Garage w/Cabinets ~ Covered Patio & Built-In BarBQue ~ More Details w/ Images MLS#2077109. Coldwell Banker Premier. Take advantage of LOW POWER bills with this Solar Powered home! MLS#2074911. Windermere Prestige Properties. Covered patio overlooks the serene backyard w/synthetic grass! MLS#2073375. Realty Pros. Long-term tenant in place with stable return. Immediate returns!. MLS#2068910. Executive Realty Services. * Sprawling Section 10 Custom Estate On 1/2 Acre Culdesac Lot * Crazy Private Yard, Lots Of Large Trees For Priv & Shade, Resort Style Grounds * 1-story, 4bd +loft, 3 Car With Rv/Boat Park, Pool And Spa * Honed Travertine, Vaulted Ceilings, Wood Beams, Open Airy Arch, Artist Style Large Loft * No Hoa * Great Room W/Line Of Sight To Gourmet Style Sunny Kitch, Full Bullnose Gran, Huge Walk-in Pantry, Ss Appl, Lots Of Counter Space! MLS#2067009. Keller Williams Market Place I. Step outside and enjoy the full length patio w/views of golf course! MLS#2065176. Keller Williams Realty SW. Recently painted, Add NEWER ROOF & SOLAR SYSTEM,($22,150 FULLY PAID) all behind the gates of Los Prados WHERE WE HAVE IT ALL; guard gated, RV space, golf, bar, restaurant, tennis courts, pools and spa!! Come join us! MLS#2064588. Los Prados Realty. Buyer to verify all info & measures. LEASE BUYOUT-30 DAY MOVE-IN MLS#2062956. Turn Key Property Solutions. Come see what Los Prados living has to offer including RV Parking! MLS#2060384. Zahler Properties LLC. Don’t miss out, Make an offer today! ! MLS#2057832. Compass Realty & Management, L.